Driving forces shifting the interest in food tech include climate change, digitalization opportunities, as well as health-focused consumers. The reality of climate change and its global impact is fostering innovative startups eager to make change. With the rapid evolution of technology, digitalization opportunities - in a traditionally low-tech, complex industry- open a variety of applications to the global chain. An increase in desired wellness has also resulted in changes in consumer diets, facilitating the rise of vegetarianism and veganism. According to the Mintel Global Food and Drink Trends 2017 report, there was a 257 percent increase in the number of vegan food and beverage launches in 2016, compared to 5 years ago. The food and beverage industry is changing - that much is clear. 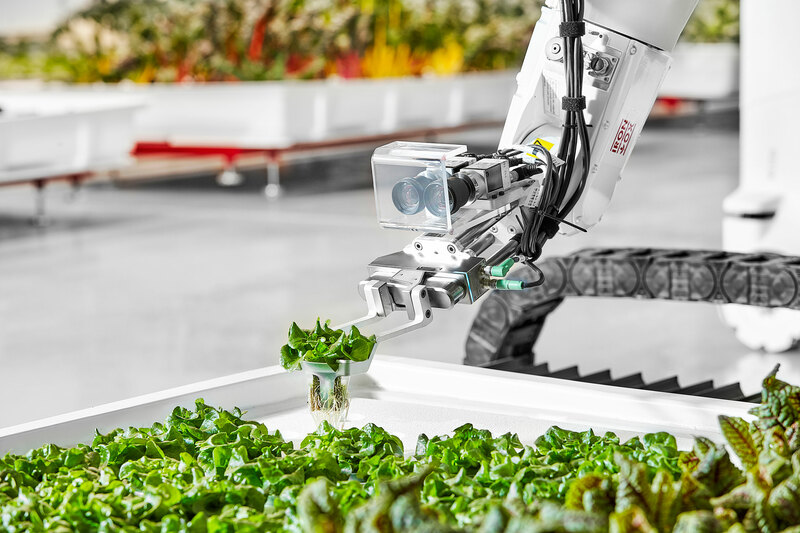 Let’s delve into 2019 food tech trends that are pulling us forward to more nutrition, more transparency, and increased utilization of technology. Improved technologies focused on animal product substitutes continue to grow and get new investments. Wildfire tragedies in California and reduction of crop yields in many European countries brought even more focus to climate change, which is directly associated with animal farming and meat consumption due to high emissions of greenhouse gases. Impossible Foods recently launched the 2.0 version of its vegan burger, which was the winner in the top tech category at CES 2019. As prices decrease and sensorial quality increase, these products will gain more popularity among all consumer groups. Although expensive, food service robots will be making their way in 2019 as well as new e-restaurants such as Spyce and Eatsa. By bringing together the convenience of ordering online, personalization of meals, access to healthy and nutritious ingredients, and the speed of getting food at a counter, service robots and e-restaurants are setting new standards. CafeX’s robot arm is trained to prepare the perfect cappuccino and the burger flipper robot is a grilling master. What will be next? Last year was a turning point for the CPG space with many important changes in international regulations and the signature of agreements. We saw this with the European Union banning the use of single-use plastics such as straws, cutlery, plates, and stirrers. Suffering from high air-pollution rates, China restricted importing and processing residues from other countries. Furthermore, CPG giants, such as Danone and Coca-Cola, as well as important global generators of plastic waste, got together during Our Ocean Global Conference and signed an ambitious agreement to significantly reduce plastic generation and disposal. Biodegradable, plastic-free solutions with optimized functionalities are gaining traction. There are many corporations and startups leading the charge for packaging innovation. Check out my last article on packaging innovation with a list of leading startups and corporations in the space. The big food industry is still trying to figure out how to regain trust from customers, to be more aligned with their values, and to be more transparent. The boom of small brands and new e-commerce channels will continue to negatively impact the market share of the big players; in order to remain competitive, they must gain a better understanding of niche markets and the velocity to change gears. Traceability enablers, such as blockchain technology, will continue to expand and get new adopters in Food and Ag, as they enable fast data integration and identification of quality and origin of products. Interesting startups providing solutions include Ripe.io, TE-FOOD, and Provenance. Low sugar, plant-based, functional beverages such as Kombucha, will continue to boom in 2019. The kombucha market, alone, increased nearly 41% to $534 million wholesale in 2017 and is expected to be worth $1.8 billion by 2020. Howard Telford, Senior Beverage Analyst at Euromonitor International, commented on the current push for functional beverages into the meal space saying, “There’s a shift toward consumers viewing beverages as a sort of preventative nutrition occasion. People are interested in functionality, and instead of asking ‘What’s in this bottle,’ they’re asking ‘What is this bottle doing for me?’ High launch numbers in the pre and probiotic beverage and wellness drink space in 2018 highlighted how the convenience of drinking met the search for health and nutrition. New ingredients such as cannabis, mushrooms, MCT oil, new fibers, natural extracts, and pre/probiotics will continue to boost the creation of innovative, new beverages. Just take a look at Remedy Organics, Whalebird Kombucha, and Malk Organics. Digitalization and robotization increase the ability for personalization of food products, which is timely as demand is rapidly growing due to the spread of new diets and low-cost home-testing health diagnostics such as FoodMarble and Habit. An increase in food allergies and intolerances worldwide will also give a boost to this trend. Solutions include meal plans such as Platejoy, which offers meal plans tailored to specific diets and cooking habits and integrates nutritional data with health tracking devices. Another example is Sunbasket, a meal kit focused on special diets and organic ingredients. Full personalization of individual meals is still a challenge, but demand will push for innovations to continue in 2019. Online food and e-commerce platforms will continue to grow and gain new adopters, as consumers continue to look for more convenient ways to shop. Successful grocery delivery services such as Instacart, Good Eggs, and Imperfect Produce exemplify the expanding market. In food service, Grubhub and Uber Eats delivery solutions will continue to grow as well, while new and optimized platforms focused on targeted groups, special diets, and nutritional data insights might occupy an interesting space in 2019. Now, more than ever is the time to come together to transform our food systems and consumption. These trends show no sign of slowing down. Are you an innovator in the food and beverage space wanting to understand how these trends can affect your business and how to benefit from exploring new technologies? RocketSpace’s innovation team can help you navigate these trends and provide valuable insights into emerging technologies from leading startups. Our global accelerator, TERRA, brings together experts, decision-makers, and innovators across the entire Food + Ag value chain – capturing and fostering synergies that catapult major breakthroughs into scalable solutions by pairing emerging growth companies with established multinationals, in a pilot-driven engagement that leads to tangible results.